Total Home Health wishes you and your family a Happy Easter! When you or a loved one requires healthcare services and medical equipment to maintain independence at home, we have you covered. You can trust our experienced staff for timely delivery and a caring and compassionate approach to your overall well-being. 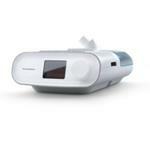 Sleep8 CPAP Sanitizer - now available! Total Home Health is excited to offer the Sleep8 machine to help you keep your CPAP mask, tubing, and water chamber sanitized. This quiet, rechargeable unit is small enough to pack in your suitcase. Call us to discuss our introductory discount! Sign up via Facebook and LinkedIn for updates from Total Home Health! Easily view invoices, track your payment history and pay your bill online through our secure online portal. Utilize our resource center to locate new patient forms, medical resources and helpful information regarding HIPAA. We take a total approach to your healthcare at home with services such as equipment education and 24-hour assistance. Sleep8 is your CPAP's sanitizing companion! Sleep8 is a portable, virtually silent device that sanitizes all CPAP supplies and accessories–getting germs out, and keeping wellness in. Find us on Facebook for updates, highlights, and more!